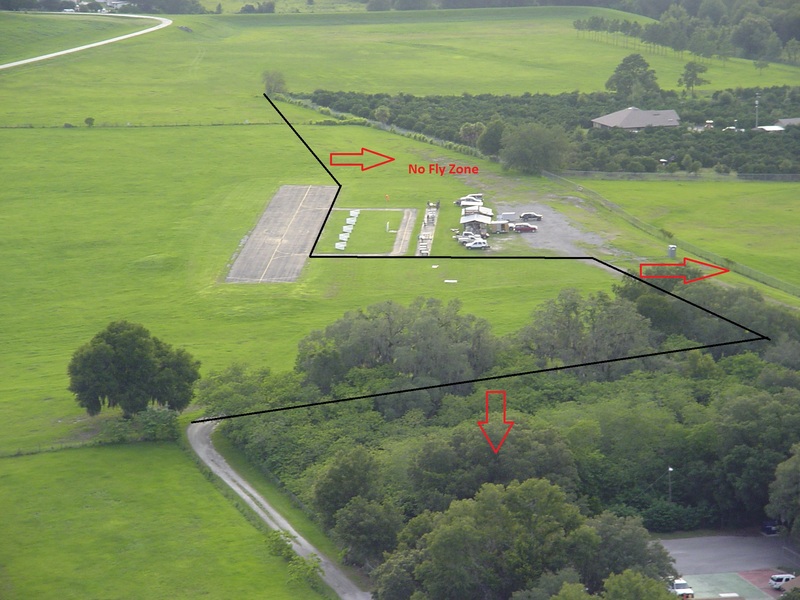 TRAC is a premier radio control aircraft club in the Tampa Bay area. Detailed List Of All Area Events ! March 2019: FOX 13 airs segment on TRAC on March 11th. If you missed it, you can view the broadcast of the segment by Clicking Here. January 2019: New Gate Code - If you could not make the Jan 12th meeting and need to access the field, please contact an Officer or Director for the new gate code. Click here for their phone numbers. November 2018: Hillsborough County recently published an article about TRAC which is very complimentary to TRAC. Click Here to access the article. October 2018: We are happy to announce that the field agreement with Hillsborough County has been renewed by the County for another three years. We thank Hillsborough County for their continued support of TRAC and Model Aviation. The agreement adendum is available in the "Membership Info" section. November 2016: HobbyTown Brandon and Tampa North are offering a discount on two aircraft for new flyers. They also offer to stock the products flyers need frequently so let them know your needs. June 2016: Indoor Flying Fun! February 2016: Wayne Smith provided the following link to a video Intel produced of 100 synchronized drones and orchestra playing the 1812 Overture. Well worth the view. Click Here to view the video. January 2014: Click Here to view a video of TRAC field taken from a quad flown by TRAC member Javier Nerys. December 2012: Al Tejera recently provided the following link that shows how to extend lipo battery cycles by reducing the voltage. It shows that while flight time is reduced marginally, number of recharge cycles is increased dramatically. Click here for the information Al found. July 2012: Click here to view recent photos of indoor flying at All Peoples's Life Center. Check the Events Schedule page for the current flying day and time. 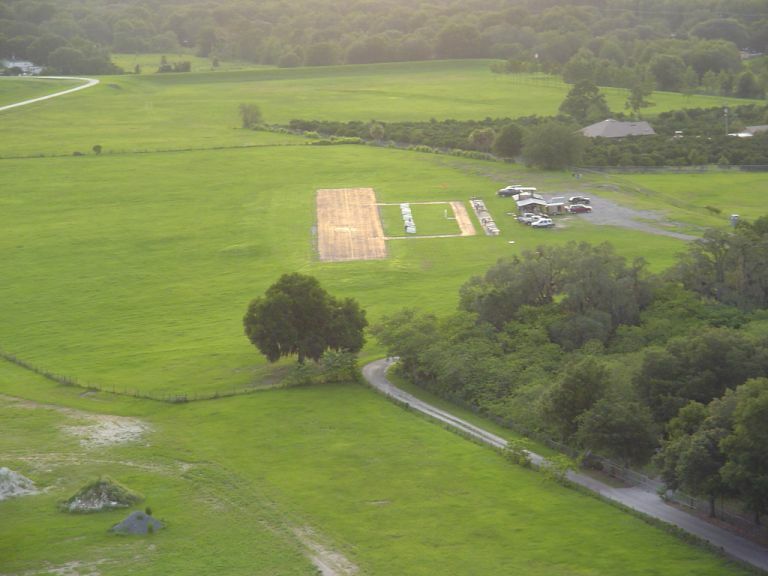 July 2012: Click here to view photos at field of Randy Crouch, a past member, and his ultralight he recently landed at the field. A picture of our 27 approach that Randy took a couple of years ago is at the bottom of this page. Do not fly over the orange grove! Our neighbors who built their homes in the orange grove support our flying, but are concerned about an aircraft hitting one of their children. Below you can see that a straight out departure to the west or approach from the west on runway 9/27 goes over the grove. The no fly zones are shown in the ariel view below. December 2017: A defense authorization bill contains the requirement that small, unmanned aircraft must be registered with the FAA. Effective immediately, TRAC members must register their aircraft over .55 lbs and display the registration number if they want to continue to fly at TRAC. Click Here to access the FAA registration site.